There is nothing like the quiet earth after a snow. Your photos capture that beauty. oooooh life is good, really good!!!! i adore being snowed in!!!! All sounds wonderful. 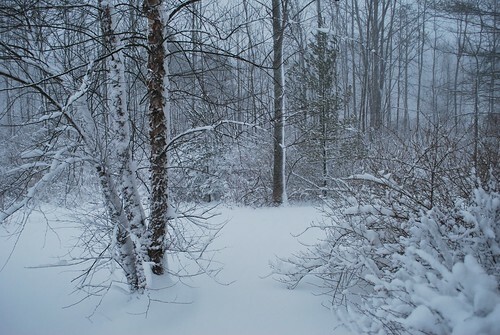 We had our first snow last night, and it's still falling but there's a lot of rain in there still and it's not staying. And I thought we had a full house for the holidays! Aren't the sounds of "eating, talking, hanging out" one of the most beautiful things ever? And the quiet that follows in January is pretty nice, too. Your weather is matching up with mine -- a green Christmas (my daffodils had even started). 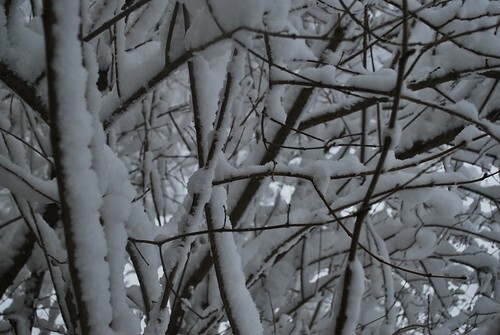 Now very cold, ice, snow... pretty but my passion for winter generally lasts about a week. That time has gone!